In the last week the Red Cross provided emergency relief in the form of shelter, food, clothing, health services and/or emotional support to 143 New Yorkers impacted by 41 disasters across our region. Here are some highlights. “A good deed for desperately needy families is a great mitzvah [act of kindness],” said community leader Isaac Sofer, in thanking the Red Cross after it helped four families displaced by a 2-alarm fire in Williamsburg, Brooklyn on Sept. 16. The Hauppauge Industrial Association-LI (HIA-LI) honored the American Red Cross on Long Island at the HIA-LI 20th Annual Business Achievement Awards Gala, held at the Crest Hollow Country Club on Sept.16. Also on Sept. 16, Brooklyn Disaster Program Manager Edmund A. Torraca and Disaster Action Team Captain Garfield Richards supported an Emergency Preparedness Forum at Brooklyn Borough Hall. 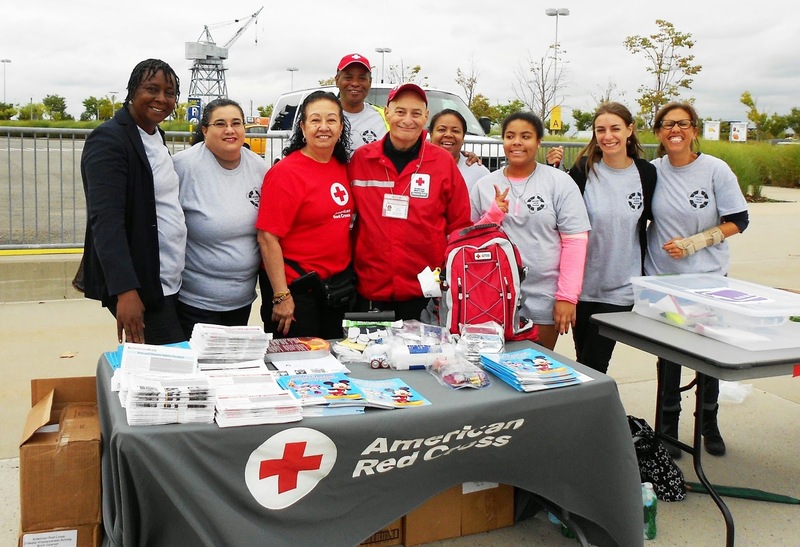 On Sept. 13, Red Crossers Nancy Soto Les Levinowitz supported “Ready Red Hook Day" organized by the Red Hook Coalition by distributing disaster preparedness materials. In partnership with South Florida Red Cross, we created a video with children’s suggestions for how to prepare for a disaster. Check out their hilarious responses (see below) and subscribe to our Youtube Channel. Last week, the National Youth Council announced that November is National Youth Involvement Month (#NYIM). Young leaders and volunteers are encouraged to visit the Red Cross National Youth Website and complete a checklist of activities for the month, as well as create their own. On week three of National Preparedness Month, we published tips on how to prepare for, respond to and recover from floods. Because it's National Preparedness Month, we encourage everyone to download our free Red Cross Mobile Apps for natural disasters, including Hurricanes, Earthquakes, Wildfires, Floods and Tornadoes, as well as our apps for First Aid, Pet First Aid, Swimming and Volunteering. A Boston Marathon hero encourages everyone to download the Red Cross Blood App. Read his story. Enterovirus D68 has affected 150 people in 18 states according to the Centers for Disease Control and Prevention (CDC). On Sept.19, we provided some useful tips on how to prevent the spread of this virus, which can cause respiratory illness. For #FunnyFriday, we explained how NOT to create a disaster kit on The Good, The Bad, and The Ridiculous.